There’s a strange bliss in creating something that is wholly and completely you. When I was six years old I wrote my first story on a memo pad, chapters being only a couple of awful paragraphs long, and it had absolutely no depth or merit. I wrote it with a friend from school, another goofy sci-fi fan that just wanted to create alongside me. We finished the thing and I wish I could find it, read it back and understand what sparked that initial realization that came over me. Even at that age I knew I wanted to tell stories, to talk about them, and that all I needed was to tell stories with my friends. In 2002 I was still reeling from the disappointment of Star Wars: Attack of the Clones, and I was searching through video stores to find something to wash the taste out of my mouth. I’d been on something of a Tim Burton kick, catching up on his particular ouvre as a director, and I’d been devouring things like Pee-Wee’s Big Adventure and Edward Scissorhands. Walking through the Blockbuster, just gazing at random films, I came across something titled Ed Wood. I had no idea who that was and my young brain was disappointed it wasn’t covered in weirdness, spaceships, and guns. 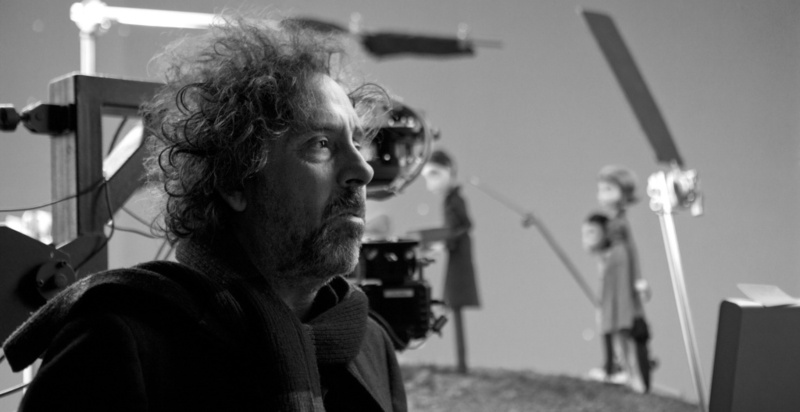 It did note, however, that it was directed by Tim Burton. I snagged it, took it to the counter, and the look on the clerk’s face turned hilarious. He insisted that I also pick up two other films: Tim Burton’s Mars Attacks! and a little film called Plan 9 From Outer Space. He gave me a viewing order and sent me on my way. There’s so much context lacking in how I viewed these films, unable at the time to know what research to do or even why these were important. All three made me very uncomfortable, with the last one sending me into a full-on rage (I finished it though). I could not fathom why the director I knew as the oddball, the weirdo that made films for social outcasts like me, would be so interested in this director of bad films. I also did not understand why the clerk gave me Mars Attacks! at all. Seventeen years has given me a better understanding of what I’m dealing with. Understanding people like Bela Lugosi, Ed Wood, and Tim Burton himself have given me a better grasp on what I’m doing as a storyteller and why I do it. There’s a bliss involved that I latched onto. Each of these three disparate films, which I’ve revisited over the last few days, are all parts of a whole piece of art that is about creation despite all odds. They work together to talk about doing what you love the most with the people you love the most. Tim Burton’s fascination with Ed Wood makes a lot of sense to me now. Both eccentric weirdos, both working in loving adoration of the actor that took them under a wing, and all refusing to compromise their vision in the face of potential failure. With Ed Wood it was Bela Lugosi, but with Burton I found a more interesting connection between him and actor Vincent Price. It’s no wonder that the director took to this subject material the way he did, understanding that he had found a kindred spirit in the wackadoo that was Ed. Burton was not fully telling a story about that individual, but rather channeling one about himself. Just look at his first short film, Vincent. A story about a young boy that just wants to be a gothic scientist, experimenting on the dead and dying, taught me how much it meant to know who and what you are at a young age. And that’s why Mars Attacks! has become of particular fascination to me. It felt like such a transition from the critical achievement that was Ed Wood. I missed this one in theatres, my family deciding that it looked like trash (they were very limiting about what I saw as a youngster). Now, though, I understand it as trash and embrace it for that. Burton made an excellent film, something funny and horrifying and that gloriously reveled in it’s B-movie roots. He’s still channeling Ed Wood here, creating his own schlocky version of Plan 9 From Outer Space and delivering it to the masses. Coupling these two films together suddenly makes sense, from the color schemes to the high-stylization and heightened performances. Nothing about them is real, nothing about them feels accurate to what they strive to be and yet in their earnestness they deliver something greater than the sum of their parts (and they’re parts are pretty substantial). I don’t have a Vincent Price or a Bela Lugosi of my own, but my muses are there and they continue to drive me. This fictionalized version of Ed Wood reminds us that Orson Welles, his idol, was only 26 when he directed Citizen Kane and that, at 30, he feels like he might just not have it in him. I hit that particular milestone six months ago and have yet to publish anything substantial, which weighs on me. It’s times like this that I turn back to Tim Burton, to Ed Wood, and to the trashy fun stories that I love. All of the weights in our lives are nothing compared to what we create. My cousin writes for an outstanding couple of podcasts, another friend is an actress, and my best friend is a writer like I am. There is creativity hidden in all of us, some of it buried deep within, but it requires perfect dedication and drive that only creation with those you love can inspire. Whether you’re Kazuo Ishiguro or Ed Wood, genius or only earnest, your voice matters and your vision can see the light of day. Never give up, and don’t you dare surrender. This was beautifully written, and exactly what I needed at the moment. Friends who push us to follow our dreams are really something else, and I’m grateful to have a few.